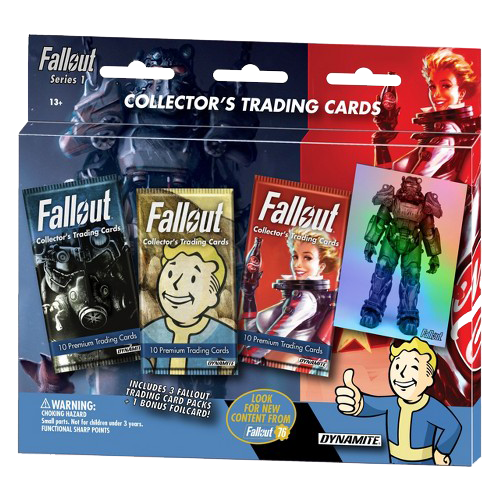 Locations, weapons, icons and more can be found in the new Fallout Trading cards. A total of 144 base cards, 72 uncommon holofoil cards, 10 die-cut rare chase cards and 5 ultra-rare chase cards give you a whopping 231 cards to collect. Start your collection with this 3-pack set, giving you 30 cards (duplicates possible) and 1 bonus foil card. Manufactured by Dynamite Entertainment.